He was raised in Northfield, Minnesota. He ran unsuccessfully as the Democratic-Farmer-Labor party endorsed candidate for the Minnesota House of Representatives in the 2002 election. His opponent, Ray Cox, defeated him by so few votes that an automatic recount occurred. The recount confirmed that Ray Cox had won, by 46 votes. 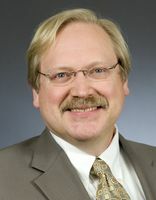 He ran unsuccessfully as the Democratic-Farmer-Labor party endorsed candidate for the Minnesota House of Representatives in the 2004 election. He lost by 586 votes. 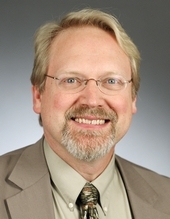 He ran unsuccessfully as the Democratic-Farmer-Labor party endorsed candidate for the Minnesota House of Representatives in the 2010 election. His opponent, Kelby Woodard, defeated him by 31 votes so an automatic recount occurred. The recount confirmed that Kelby Woodard had won. 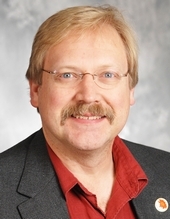 He also was a Special Education Teacher in the Faribault Public Elementary Schools, 1984-87. Religion provided by his 2006 campaign Web page. Session Notes: His margin of victory over Ray Cox was so close an automatic recount occurred. After the recount he was declared the winner by 60 votes. Bly, David. We All Do Better: Economic Priorities for a Land of Opportunity. St. Paul, MN: Levins Publishing, 2016. Green, Craig. "Third Times a Charm, Remembering a Lesson Led to House Seat." Session Weekly, St. Paul: Minnesota House of Representatives Information Office, January 12, 2007, p. 17.